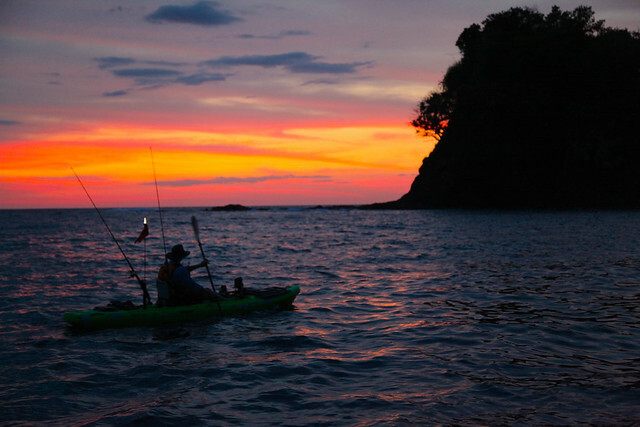 Panama, a kayak anglers paradise! 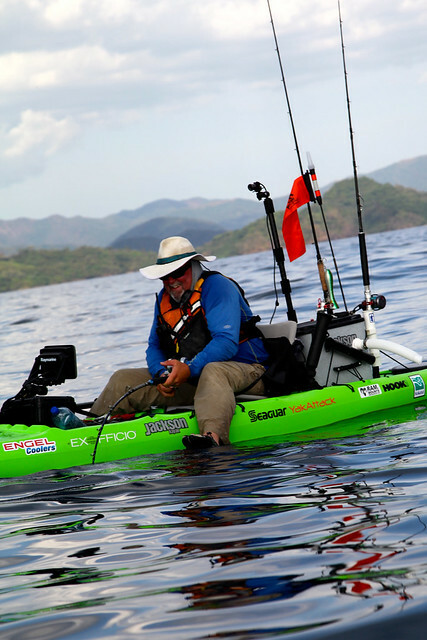 I have been to Panama to kayak fish three times, twice with Pesca Panama and most recently with Paddle Panama, and I can say honestly it is one of my top destinations. The quantity, quality and variety of fish is like no other place I have been. 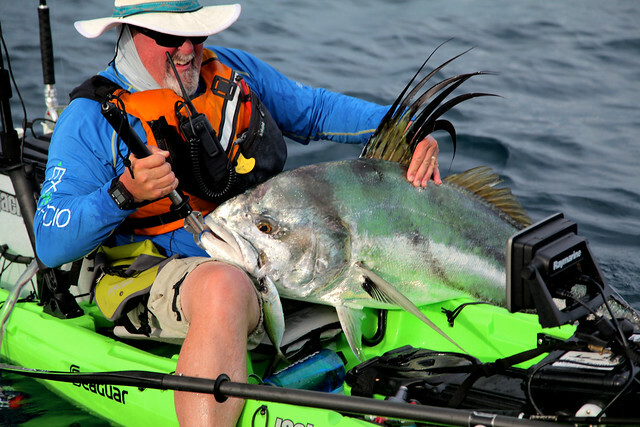 Unlike my first two trip with Pesca Panama, the trip with Paddle Panama is a land based “camping” trip in a remote area known as Bahia Honda. On the trip with me were James McBeath from Jackson Kayak and Ben Roussel one of my Jackson Kayak teammates. Both James and Ben have already written up their reports on the trip as seen below. The guys were great to fish with and we had a wonderful time. Some highlights of the trip for me were figuring this new fishery out, switching to vertical jigging and really getting the fish to bite. Thank goodness for my Raymarine fish finder to help me locate then stay on top of the deep structure. It made all the difference in the world. Going bendo on the vertical jig. Of course getting my personal best Roosterfish is something I will not soon forget. I knew it was a big one so I got the guys in the camera boat to weigh it for me. We hung it from my 60 pound rated Boga grip and it went well past the 60 mark, we guessed it was around 70-75 pounds. You can see some of that great fight and more on this short video report from our trip. If you want a little adventure and the shot at some great fish you really should give Panama a try. Wow! Awesome website with great pictures. Really makes me want to go get out on the water and catch some fish!